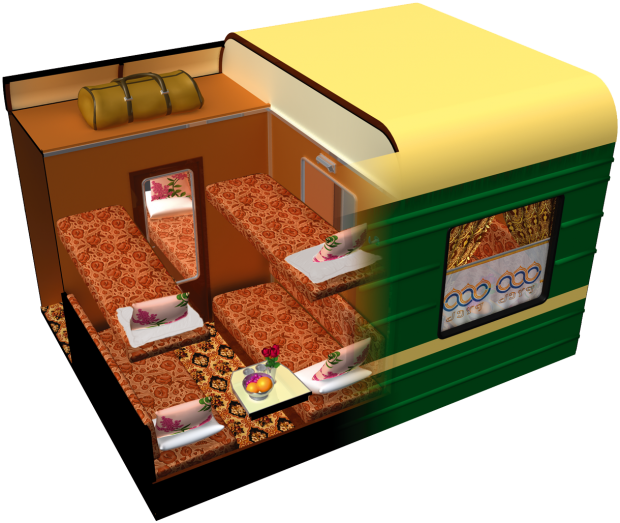 In the ”STANDARD” CATEGORY (I), there are nine compartments per car, each for four guests. On both sides, left and right, there are two berths, one upon the other and each of them sized 27.55 inches x 74.80 inches (70×190cm). In the middle, below the window, you will find a table. Combined toilet/lavatory compartments are located at each end of the car. IN ALL CATEGORIES, there are power outlets (both 110 and 220 Volts) as well as ”smoker’s corners” at one end of each car.